Hours after revealing that the torso discovered in the waters off Amager on Monday evening did indeed belong to the missing Swedish journalist Kim Wall, Copenhagen Police have released further details pertaining to the mysterious case. 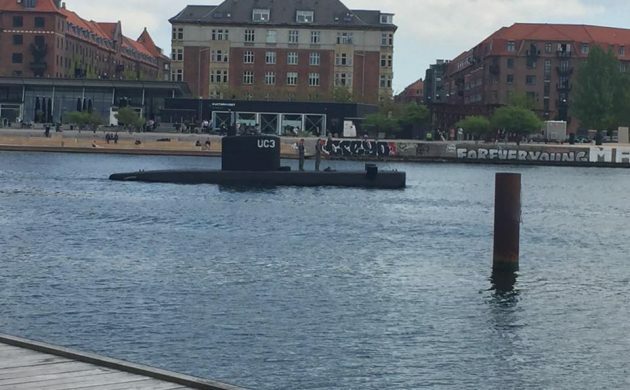 During a press conference just an hour ago, lead investigator Jens Møller said that the police have found Wall’s blood in Madsen’s submarine, the ‘Nautilus’, and the torso that had been found had metal parts tied to it to prevent it from floating to the surface. Møller also said that the torso had sustained post-mortem damage as if someone was trying to release all the air and gases from the body and ensure that it remained submerged. Møller also said that the police were aware of a number of other issues regarding the body that he would not discuss. But he described the DNA identification of Wall as being key to the case. As the police continue to search for the missing body parts, Madsen continues to maintain that it was an accident. Jens Falkenberg, who helped Madsen build the submarine, contends that an accident is not improbable. “When I heard she was dead, my first thought was that she could have slipped on the ladder leading up to the first hatch,” Falkenberg told Metroxpress newspaper. Another theory is that Wall was killed because she was working on a story that implicated Madsen and a worldwide drug smuggling ring. An unnamed source wrote to CPH POST last week to present evidence that Wall had previously written a story on the cocaine trade in the Americas and that submarines are frequently used to transport cocaine. Furthermore, dismembered torsos are the hallmark of South American drug lords. Whatever happened, Madsen is being held in custody until September 5 and has been charged with negligent manslaughter. According to Metroxpress, should the evidence prove that it was an accident, Madsen will not be punished for the incident – although he could see three-four months prison time for getting rid of the body. However, if the police find it just to charge Madsen for murder, the penalty would be at least 12 years in prison.